58 LIFESTYLE: SOY CANDLES AND SMELSS THAT SELL! Did you know the sense of smell is the strongest of all senses to engage or disengage buyers to a home? We challenge you to incorporate a fresh aroma into the next project you stage, we guarantee it will help potential buyers feel more at home. At the Home Staging Association UK, some of our favourite environmentally-friendly fragrances and scents are from London-based brand 58 Lifestyle. 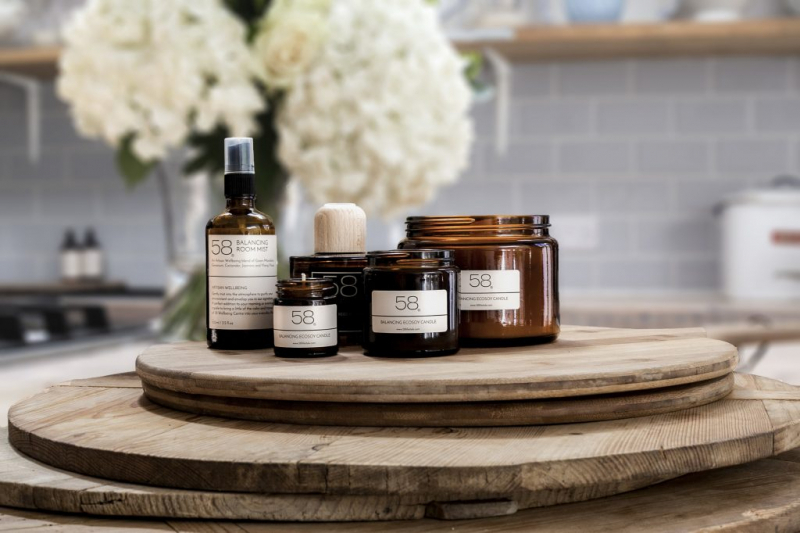 58 Lifestyle is a luxurious home scent, skincare and wellbeing brand that is entirely natural as well as sustainably sourced and manufactured - from ingredients right through to packaging. If you plan on making a conscious choice for your project (and for the environment), then these exceptional home fragrance products are not to be disregarded. When staging a property, you not only want to give viewers a visual glimpse of what it would be like living in that space, but you also want to create an entire charismatic lifestyle with your work. Candles, reed diffusers and room mists all provide an extraordinary job of filling a home with a pleasant, attractive scent and creating a nice ambience. 58 Lifestyle have a range of soy candles and home scents to help you add the final and finishing touches to a space. Focus on choosing smells that sell! Making a home smell better is an important part of staging and prepping for a sale. We recommend going for light, airy and fresh scents such as citrus and herbs. These products are not limited to just being used in the living room or bedroom. They are a welcomed addition to any room including the bathroom, as their range includes hand and body care products to really help in aiding your clients/potential buyers with a genuine sense of home. 58 Lifestyle products are an impeccable alternative to the harsh and damaging ingredients often used in lifestyle products. At the Home Staging Association, we are delighted to introduce the 58 Lifestyle brand into our portfolio of brands. It’s important to remember, scent and aesthetics are pivotal in setting the right mood and scene and incorporating the right products is key! 58 Lifestyle is proudly supporting the Home Staging Forum UK 2018.